The McAllister family go on a holiday to Florida. 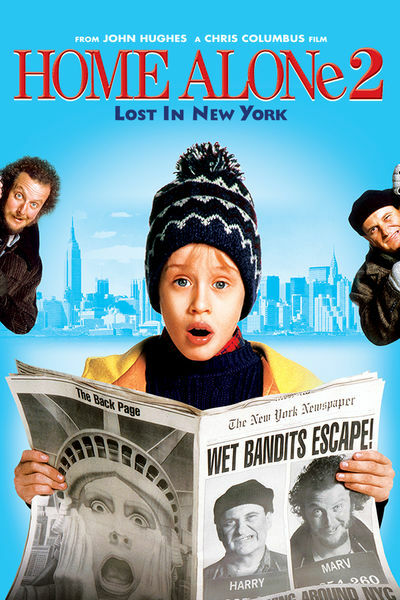 Kevin McAllister gets separated from his family, and manages to get himself onto a plane to New York instead. There, he checks into the best hotel with his father's credit card, and sets out to enjoy himself. Unfortunately, the burglars he had foiled before were in New York after being released from jail, and had plans to rob the biggest toyshop in New York on Christmas Eve. Kevin discovers their plan, and sets out to foil their plots again, while the burglars set out to finish off what they had not done before - The killing of the brat Kevin!